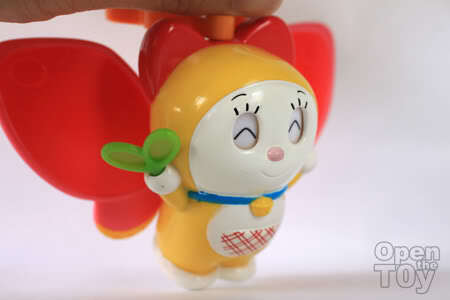 Dorami, Doraemon's sister make it to my collect because someone important to my life love her, plus it is a practical toy for babies conceptually but it's a happy meal toy, so don't expect too much. 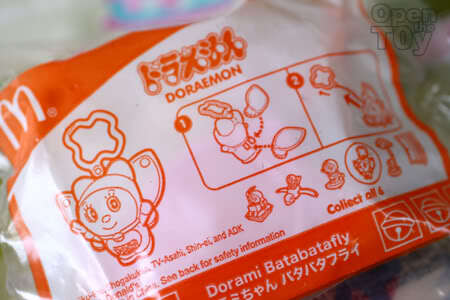 Open up the toy, you will see the cute Dorami with 2 of her butterfly wings. 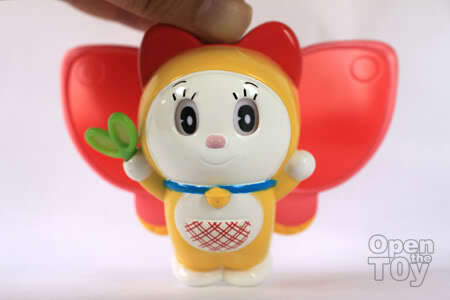 Like her brother in this toy line series (Doraemo roller stamp) Dorami also holding a green leaf on her right hand. A close up to the leaf. The left serve no purpose as it is purely for decoration. 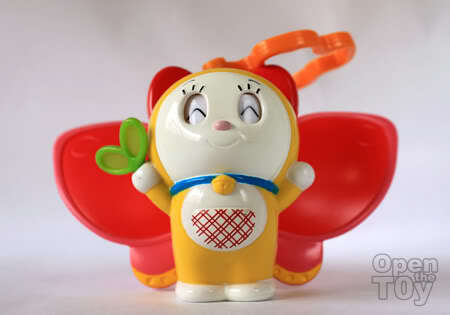 At her back, that is where the fun gadget of this figure lies. Attach the wings on her carefully. Do you notice her flowery tail? With both wings attached, she is ready to take flight. Now the figure is complete. Time to pull the string on her top to let the wings flip. 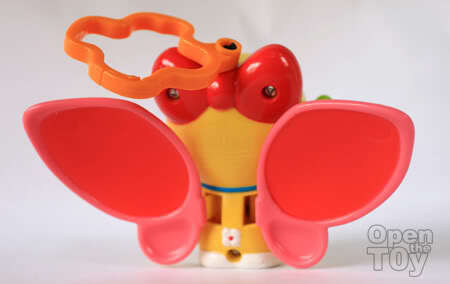 When the wings flip, Dorami's eyes will switch. Here is one of the shot in the middle of the pulling. Pretty eyes. End the end stage, she will give a smiling eyes. 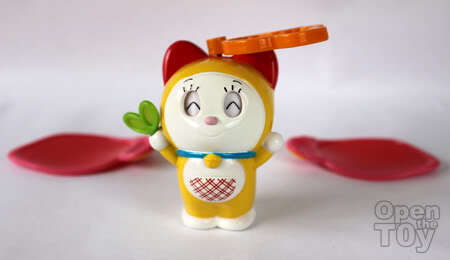 So cute right? So. 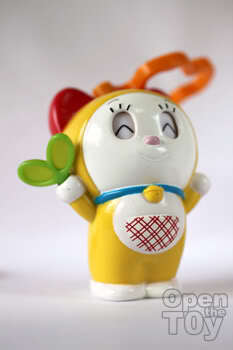 this is Doremon's sister. Is her ability like Doremon? I guess she was introduced later part in the cartoon. Even your McD toys are really good quality. 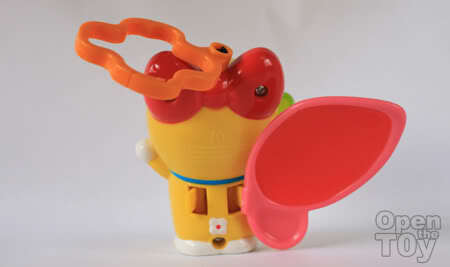 What's the next set of toys at your McD's? Did you check it out? It should be soon or even now. Yes she is Doraemon sister and come out somewhere in the middle of the comic. The next one is Sonic but not that interesting for display. More like a Toy for kids. 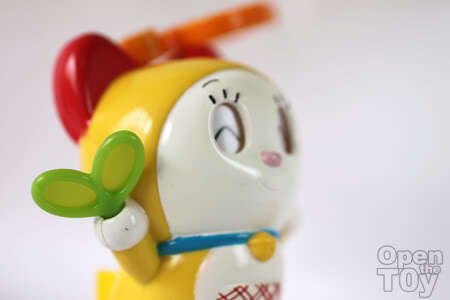 Your close-up pictures of these toys are really lovely!